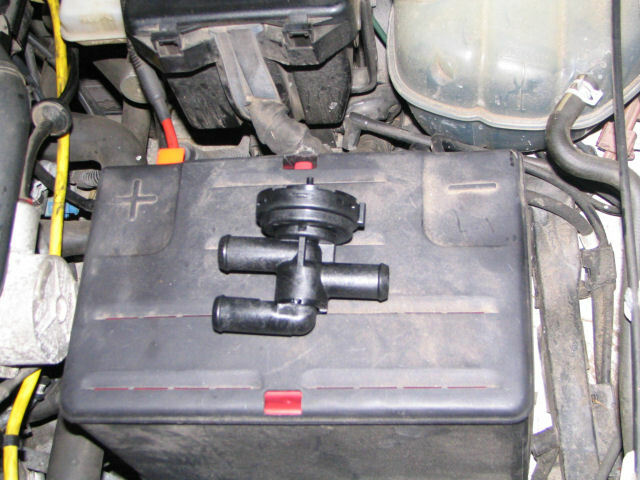 The coolant bypass valve should be an item that you replace as a preventative maintenance item. The valves go bad after 6-8 years or around 100,000 miles. 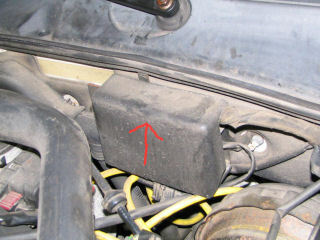 The valve starts to fail by leaking a small amount of antifreeze out of the top and then turns into a full blown reservoir emptying leak shortly after that. This is what can strand you in the middle of no where! The valve costs around $40 and takes about 20-30 minutes to install. Before you can replace the valve, you need to gain access to it by moving some stuff out of the way. Start by removing the cover by pulling it up. 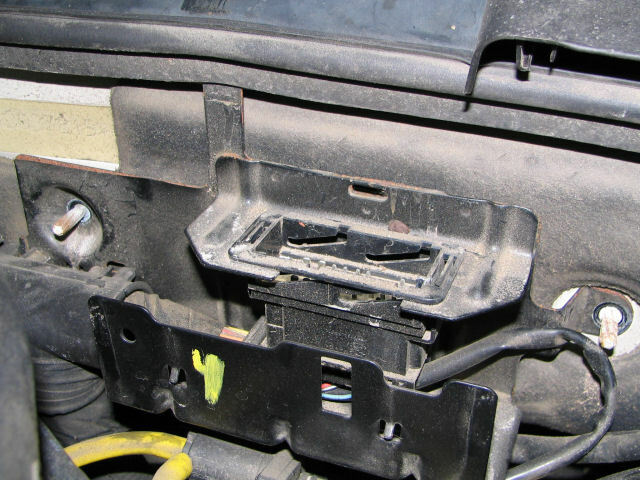 This will give you access to a big wiring harness connector. 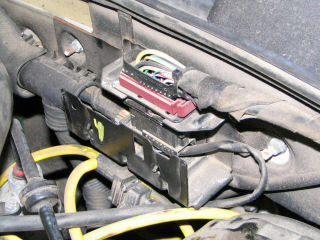 Disconnect the wiring harness by pushing the red tab to the right. Make a note of where the 3 vacuum lines are connected and pull those off as well. Now pull of the little plug by pressing in the wire retainer while pulling it out. Finally, unscrew the two 10mm nuts holding the bracket onto the firewall. Lift up the rubber weather stripping right near the top clip. Pull the bracket off of the right stud first, then lift up the bracket to free the clip, and then pull it off the left stud. 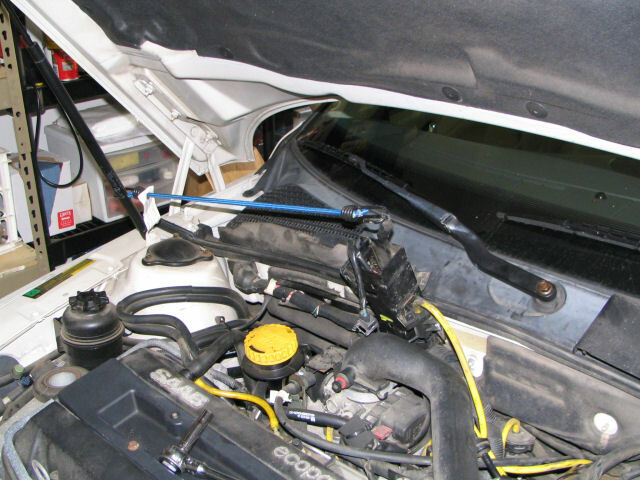 Attach a bungee cord to hold it out of the way.